Charge lasts up to 7 days. Green light at top flashes the number of days remaining. Fast recharge (max 3 hours, typically 1 hour). Charge lasts up to 5 days. Green light at top flashes the number of days remaining. Fast recharge (max 4 hours, typically 1 hour). Eliminates charging hassle. 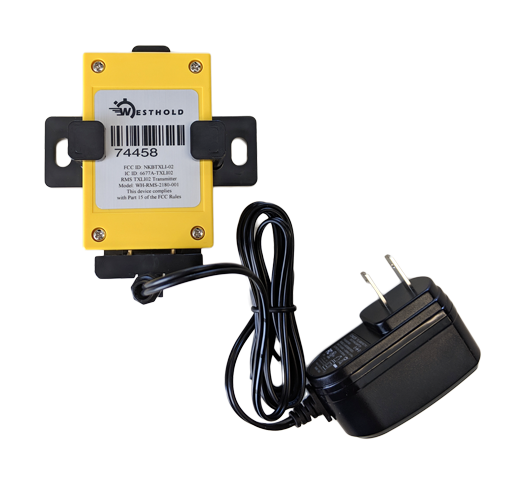 Hardwired directly to vehicle. Hooks to 12VDC battery. 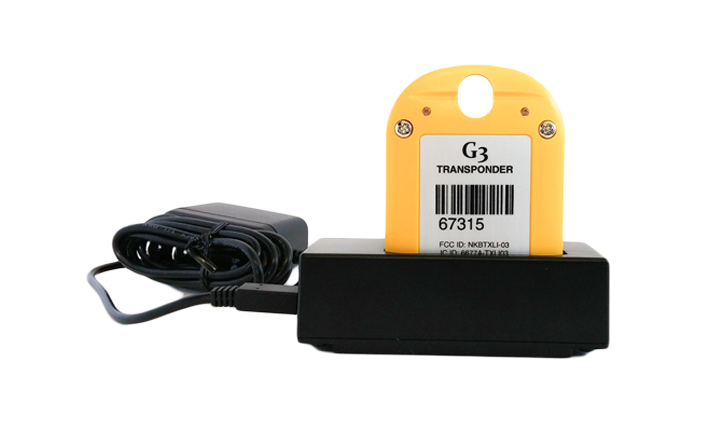 Transponders are quickly charged with the convenient charging cradle. Max charge time is ~ 3 hours. Typical charge time is ~ 1 hour. LED lights on the transponder indicate full charge while in the charging cradle. When removed from the cradle the transponder green LED indicates approximate number of days of battery life left (up to 7 days). A red LED indicates when the transponder charge has less than 1 day remaining. 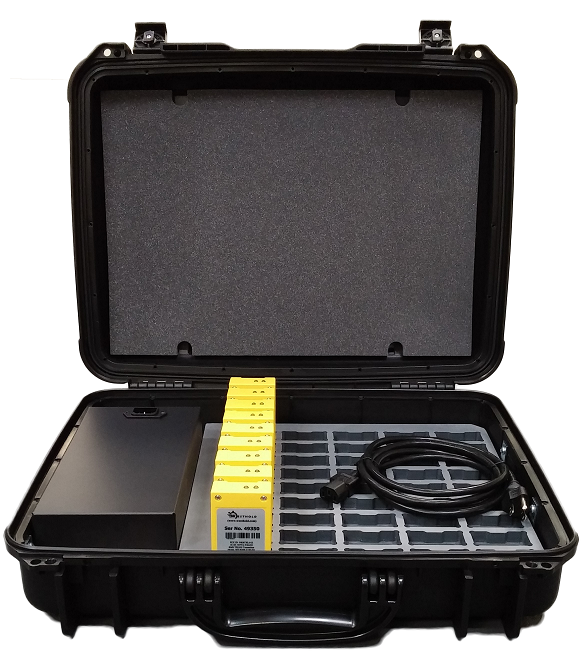 Capable of charging 50 transponders, the bulk charger is also a convenient carrying case made from a tough Mil-Spec, IP-67 case. 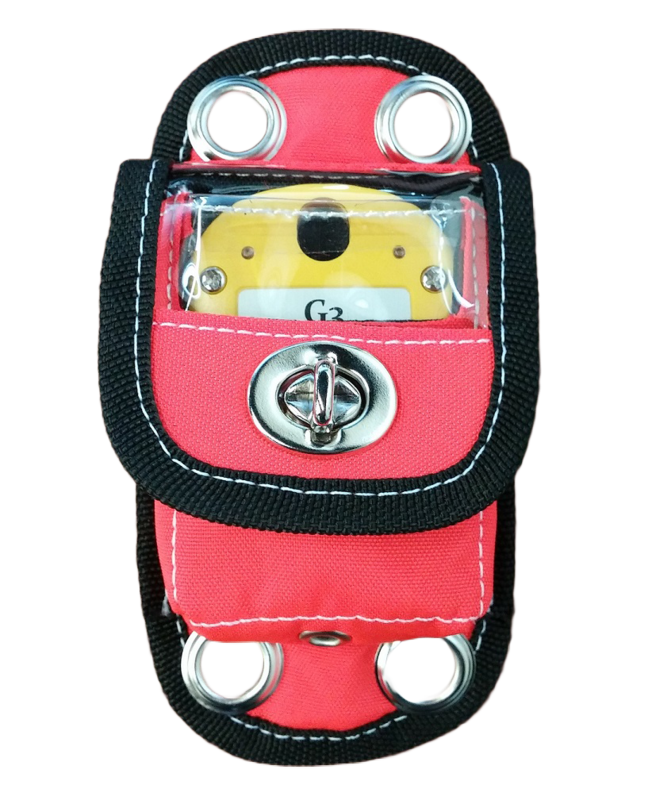 The G3 pouch is the perfect accessory to affix the transponder to the vehicle. 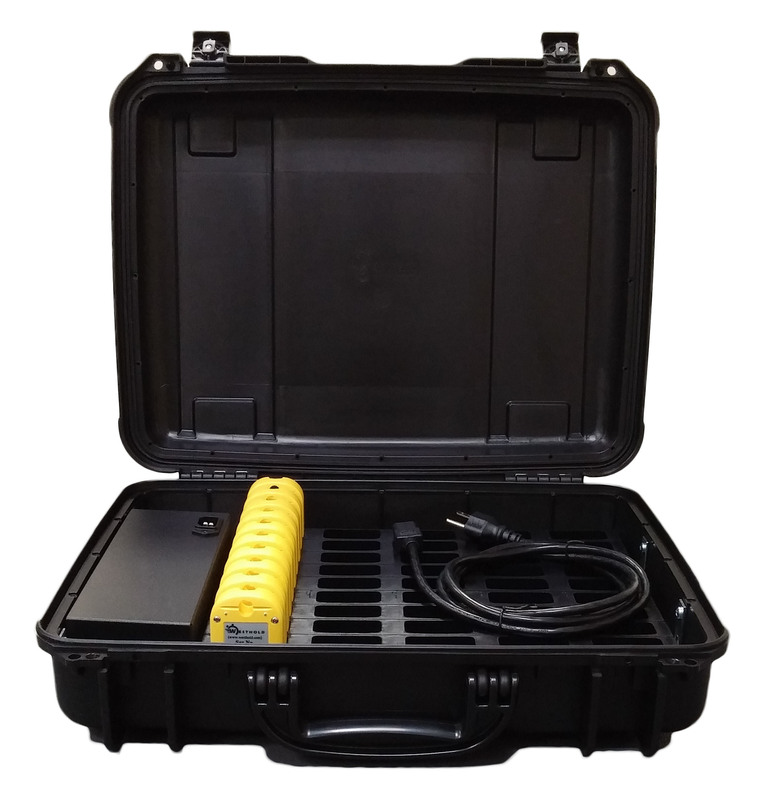 Capable of charging 45 transponders, the bulk charger is also a convenient carrying case made from a tough Mil-Spec, IP-67 case. 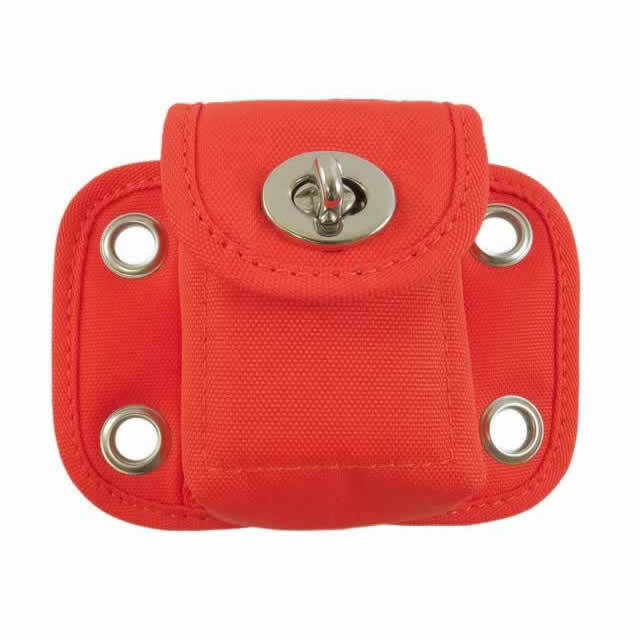 The original pro pouch is the perfect accessory to affix an original rechargeable transponder to the vehicle.